We exist inside the Creator, who determines our entire sensation of life and existence for us. Even if we praise or curse the Creator, this too is done by Him. Everything is controlled by the Creator, and there is no reality outside of Him. To the extent that I annul myself before the Creator, I build myself and attain my essence. The Creator made a barrier, a concealment. Therefore, when He is completely hidden from the creation, it seems to me as if I exist. But if I undertake the concealment myself, then in this measure I am able to reveal the upper force and understand that I really do not exist—I am only the shadow of the Creator. Understanding that there is none else besides the Creator is how a person builds himself. And we see a kind of a paradox that we exist in “None else besides Him.” I exist specifically because I do not exist! My “I,” my egoism, created by the Creator, does not exist. The more I annul my egoism, the more I exist in this self-annulment. There is no contradiction: by understanding that there is none else besides the Creator, we become great and equal to Him, His partners, in adherence to Him face to face. All of this is due to His creating a concealment and us turning this concealment into Light. Why Is It Hard To Remember That There Is None Else Besides Him? If a person has a choice and does not use it, it leads to disaster. After all, the Creator always emanates a positive force that is meant to raise us to the next degree. If we do not want to accept the Creator’s invitation to rise to this stage, then we feel the same states in the reverse form. If only European Jews had listened to Baal HaSulam’s warnings in the 1920s … He urged Jews to leave Poland and move to the land of Israel immediately because their destruction was about to begin and of the 3 million Jews who lived in Poland, not a single one would be left. But they did not listen to him. They had a choice, but they did not use it. We all know what happened next, and we still remember it today. 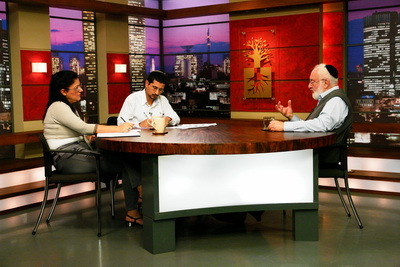 Afterward, Baal HaSulam tried to talk with the leaders of the state of Israel, urging them to introduce the correct education system to create a spiritual state of Israel. This is how it should have been after we got the right to return to this land. Today, the State of Israel is 70 years old, but it has still not become what it is supposed to be. Inevitably, this will not end well because we ourselves turn others into our enemies by how we relate to the purpose of creation. In fact, this is our only free choice, and everything depends on it. What Do Drugs And Social Networks Have In Common? Question: What difference does it make if what disconnects a person and makes him lose consciousness is a drug in the form of substance, pop culture, computer games, or social network? Answer: The fact is that there are drugs and there are sedatives. They aren’t the same. If a person doesn’t become stupefied and he just needs to calm down in order to somehow conquer his egoism, then this is one thing. However, if he uses drugs to disconnect from correcting himself and the world through himself, then this is different. One should feel the vague boundary between calming down and disconnection so there isn’t overkill. Question: But the word “dependence” is present in both cases: one can be dependent on drugs or on social networks. But isn’t dependence on social networks less dangerous? Answer: It doesn’t matter. A person is disconnecting from the true goal. Remark: But the lofty ideal for social networks was that they would bind humanity. My Comment: At first, that’s what we thought. But social networks, like everything else, are in the hands of egoists. And whatever humanity invents works to our detriment. The initial ideas are always kind. The inventor himself thinks that he is giving a gift to humanity. But we see the outcome. And this is natural because in the end it is our egoism at work. While every creature is motivated to exist, people have the additional motivation provided by dreams, fantasies, and goals. Some goals are false because they end up without purpose and fail to deliver true happiness. The wisdom of Kabbalah teaches us to recognize the eternal goal of our development and how to move toward it.